The Ministry of Economy announced on Sunday the issuance of Decision No 311 of 2018 regarding the sales at discounted prices. 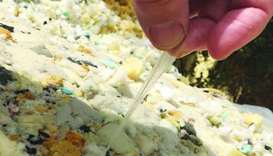 The Ministry of Economy and Commerce (MEC) has announced the one-month closure of a shop located in the Industrial Area for displaying and selling expired dairy products and food spices. 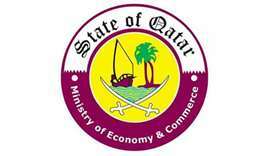 The Ministry of Economy and Commerce (MEC), in cooperation with Qatar Airways, has announced discounted air freight prices for the shipment of goods of companies participating in the second edition of the Seasonal Market for Camping. 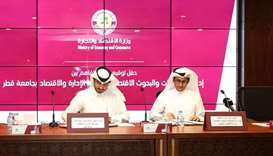 As many as 1,416 new companies were registered in Qatar in August, the Ministry of Economy and Commerce (MEC) said in a report Sunday. 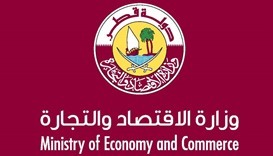 The Ministry of Economy and Commerce (MEC) has announced that registration for participation in the second seasonal market for camping will begin Thursday. The Ministry of Economy and Commerce (MEC) has penalised a shop in Al Rayyan Al Jadeed over the display and sale of counterfeit sports clothing bearing international trademarks. 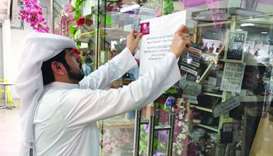 An inspection campaign conducted by the Ministry of Economy and Commerce (MEC) resulted in a crackdown on a number of gold shops in Souq Al Ghanim for failing to comply with regulations, it was announced Sunday. The Ministry of Economy and Commerce (MEC) has announced one-month closure of a retail outlet located on Al Matar Street for displaying and selling counterfeit sports products bearing international trademarks. The Ministry of Economy and Commerce (MEC) has organised a series of awareness campaigns in youth and cultural centres with the aim of spreading the intellectual property culture among the centre's members and enhancing its concept.